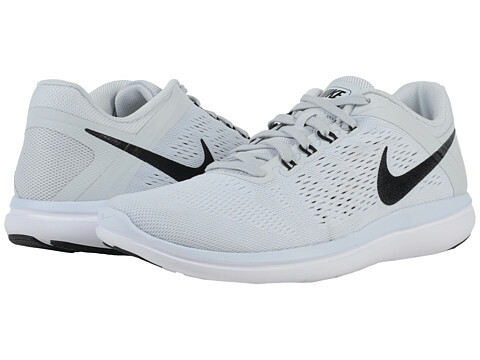 Whether you’re training for your first race or are just getting back into a gym routine, the Nike® Flex 2016 RN will help keep you on stride. As seen on Meghan in May 2017. Breathable, flexible engineered mesh upper with thin, lightweight synthetic overlays. Fylwire integrated into the mid-foot and lacing system promotes adjustable lockdown. Tri-star outsole pattern boosts flexibility. Rubber pods at the toe and heel deliver lasting traction and wear.